Local and foreign investors in Ghana helped MTN raise funds amounting to 1.1 billion cedis or $239 million, representing a subscription of only a third or 1.5 billion securities of the initial public offering (IPO) of 4.6 billion shares at 75 pesewas each. Accordingly MTN, Africa’s biggest mobile-phone company by subscribers was able to list the 1.5 billion shares and more than 5 million of the shares were traded for the first time Wednesday, September 5, 2018 on the Ghana Stock Exchange. “It’s been exciting because investors have been crying for such blue-chip stocks to be on the market,” Nana Kofi Agyeman Gyamfi, a senior analyst at Accra-based Bora Capital Advisors Ltd., told Bloomberg. 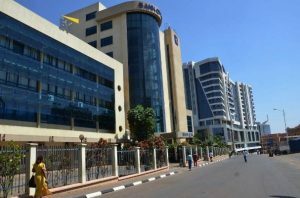 “The IPO got a lot of retail investors, some of whom sold stakes in existing shares just to have enough money to buy MTN. It will lift the gloom on the market because of the past four years’ poor performance,” he said. Africa’s largest mobile-phone company sold 1.5 billion shares in its Ghana unit at 75 pesewas each, a large addition to potential volumes on a market where 323 million shares were traded in the whole of 2017, according to data from the bourse. The debut comes as MTN fights billions of dollars in claims from Nigeria, which has ordered the Johannesburg-based company to refund $8.1 billion it says was repatriated improperly from the country and pay about $2 billion in back taxes.